Product prices and availability are accurate as of 2019-04-08 01:01:18 EDT and are subject to change. Any price and availability information displayed on http://www.amazon.com/ at the time of purchase will apply to the purchase of this product. Piano Party is the core book at all four levels of the Bastiens' Invitation to Music Series (A, B, C, D); new concepts are introduced in the Piano Party books. 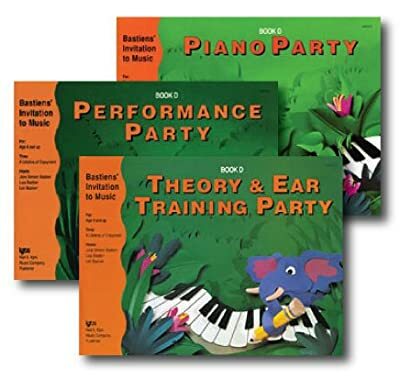 Along with Piano Party, the companion books, Theory & Ear Training Party and Performance Party, provide the formula for a well-balanced music education. Colorful illustrations in all the books are used to reinforce concepts and styles, to maintain interest, and to motivate.